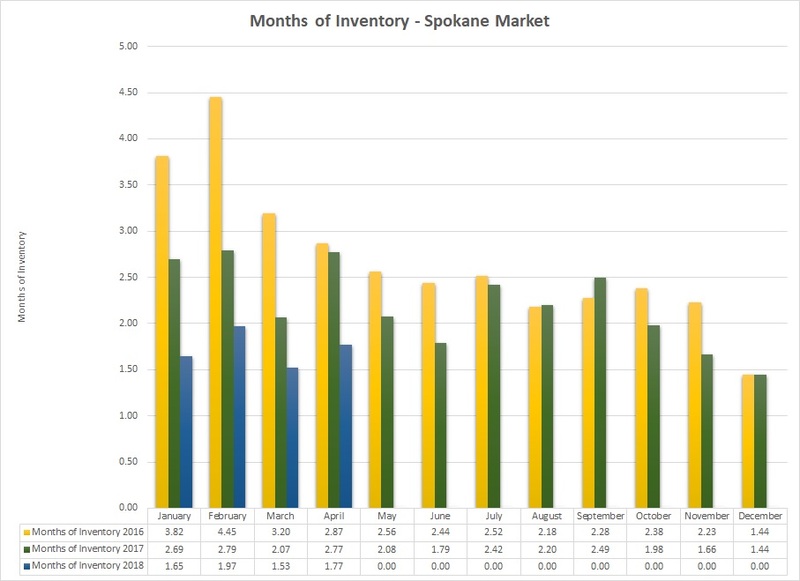 Inventory remains low in the Spokane market at 1.77 months for April. However, did you know that different price ranges have different inventory levels? From 200K to 300K, the inventory is 1.4 months, but from 600K to 700K it’s a whopping 6.8 months! The inventory in different neighborhoods and geographic areas can also vary. Overall, inventory is low, but depending on price range and location your situation could be very different. Why is this important? When buying, this information helps you present a better offer. Do you need to be more competitive? Do you have room to offer less? When selling, pricing according to the inventory could mean the difference between a sale and your property sitting on the market. The right information from your agent can make a difference. The typical trend in the Spokane and Green Bluff real estate markets coming out of winter is that more sellers start putting their properties on the market for sale. Spokane is experiencing an increase in listings, however, few homes are coming on the market in Green Bluff. 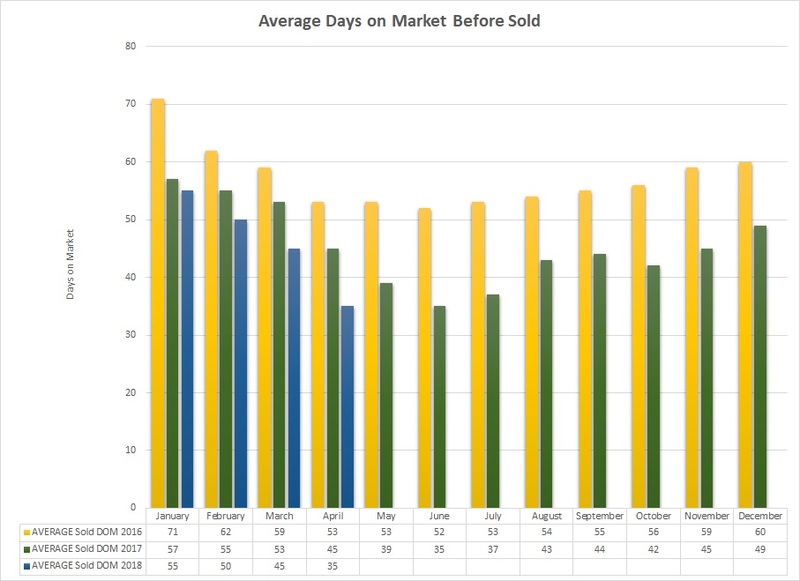 This means the inventory is low, currently at 2.25 months with 20 listings for sale. 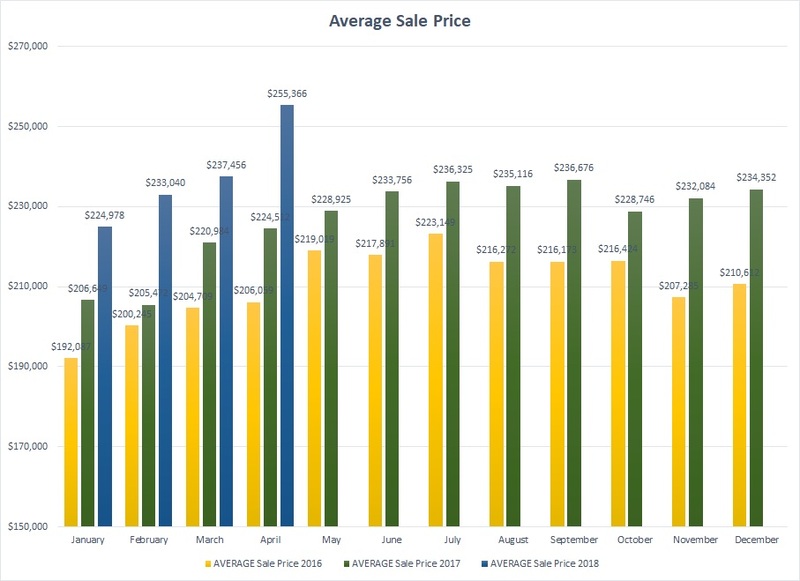 Sale prices are holding steady in Green Bluff with the average sale price currently at about $450,000 for the last four months versus an increase in the average sale price from last month in Spokane to about $255,000. With so few choices available for buyers who are shopping in the Green Bluff market, now is a good time to list your property for sale. Most of the current Green Bluff listings have expired once already, and now they’re on their second or third listing cycle, so buyers have seen these homes several times. A new listing on the market, priced accurately, will be attractive to the buyers who are waiting for the right home to come up for sale. If you’re thinking about selling, contact me to put together a CMA (competitive market analysis) for your property, and we’ll create a plan to sell your property on time and for the right price. 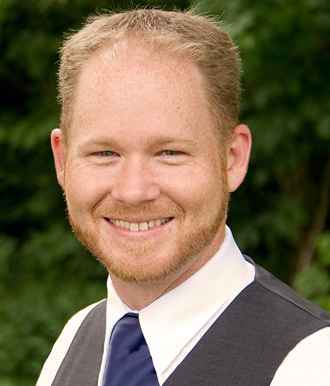 You can request your CMA by calling me at 509.944.5071 or you can order it on my website at https://www.codykerr.com/whats-my-home-worth/.